What feature (or features) would you like to see added to avast! Mobile Security? Visit the Android Police contest page now, read through the description of the contest, and add your answer to the comments section. That's it! 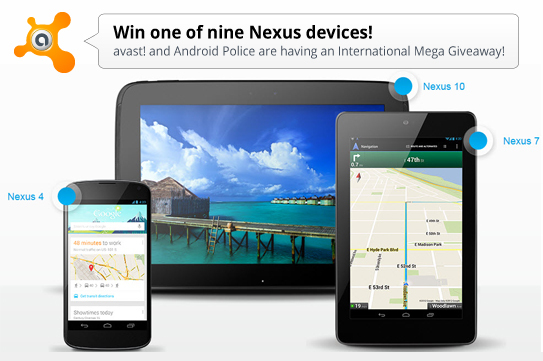 You could win 1 of 9 Nexus devices! The contest begins now and will run for one week, ending on Saturday, April 20th at 12:00AM PT (Midnight). After that, winners will be picked randomly. Enter now and share with your friends.